Home » Industry News » The excitement of taking a new product to thousands of people. 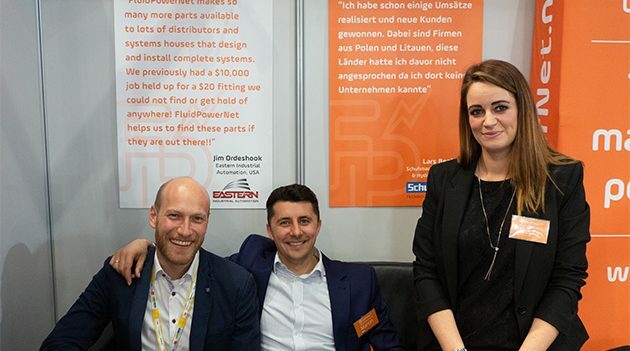 Everyone wants their first experience of Hannover Mess to be a great one….and FluidPowerNet’s was exactly that!! Having been to Hannover as an exhibitor for the last 10 years with our sister company BearingNet, this was nothing new to us. However, coming to Hannover with a brand new product, in a Hall were we don’t know anyone was quite daunting! It is true there are some other sourcing platforms out there but not quite like ours. We have seen rapid growth since January with around 80 companies joining every month and over half a million lines of inventory added since January. So, we were really hoping the response from us being in Hannover was going to be just as positive. We met 120 companies, of which 30 signed up for a free trial there and then and 5 have already joined as full members! But not only did we get to meet lots of new customers we got to meet the distributors we have been talking to over the past year, finally, in person and have a proper conversation with them. This was the highlight of the event! Face-to-face networking has always been a huge part of the way we like to do business and being an internet company does make that really difficult. So, we try and do the best job we can on the phone and by email but when we get the chance to show our faces, we really enjoy the opportunity. 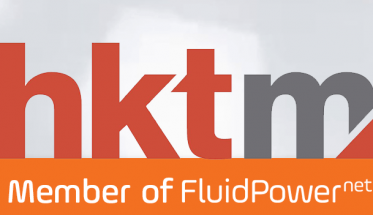 It is our aim to bring the BearingNet User Meetings across to FluidPowerNet and have our very own FluidPowerNet User Meeting which will be a 2-day networking event. A time to get all our members in one location to meet and talk business. 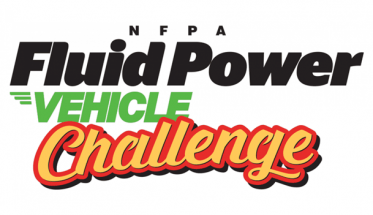 The meetings have been so successful for bearing distributors and we now have over 400 of our members attending the meetings, and we know from talking to the fluid power distributors that they also find the face-to-face networking really beneficial so look out for these meetings in the next 2 years! One thing that happened in Hannover, which I want to share, shows exactly how FPN is working for companies all the time. We had an email from a German company asking to find out more about FPN and the membership, and it just so happened that they were exhibiting at the Messe. We went over to meet them and gave their team a demo. They told us they have their own network of distributors they buy from and can usually source product in 2 weeks…2 weeks seems like a long time, and with FPN you can source parts in 2 days…so they did the search on FPN, found a UK company had the part in stock they were currently looking for, called them up in front of us and did the sale there and then! The next day they came to see us again but this time brought their Managing Director for a demo also. 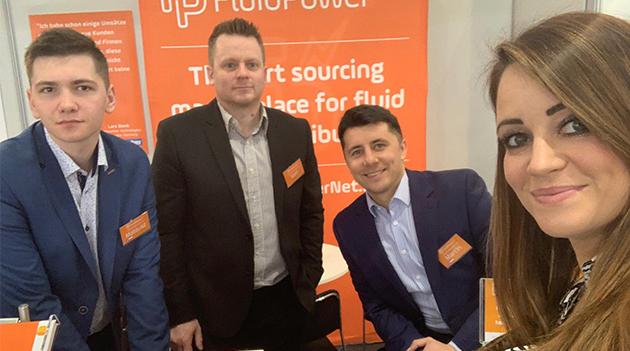 So, thanks to everyone that came to visit our stand, thanks to everyone that has support us over the past year and we look forward to working with everyone that wants to get on board and utilise FluidPowerNet for their own company. Membership starts from €38 per month, with different membership offers available! 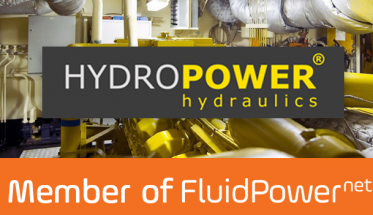 Previous Article Hydropower Hydraulics – Member of FluidPowerNet!